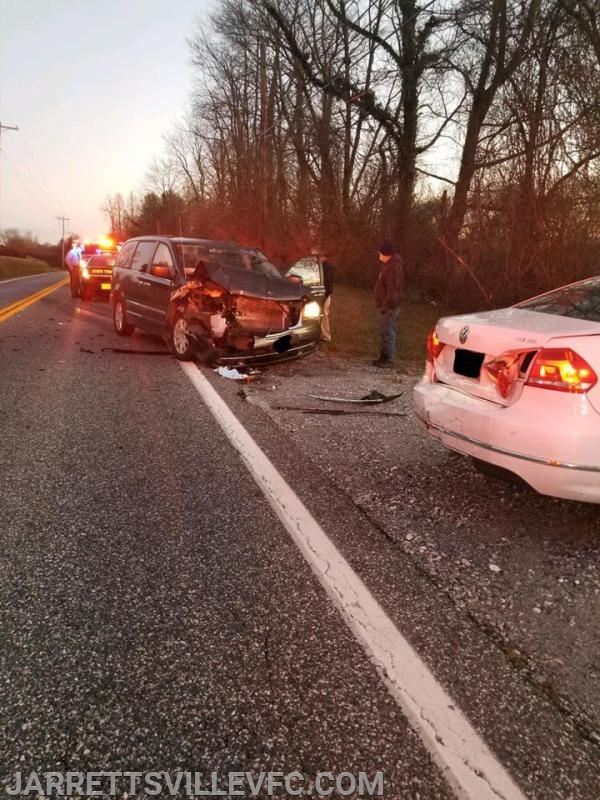 The Jarrettsville Volunteer Fire Company was alerted for a motor vehicle accident in the area of Jarrettsville Pike and Pocock Road with reported injuries. JVFC units responded and quickly arrived on a two vehicle accident at location. Crews assessed both vehicles and secured the scene of all hazards. Medic 791 transported a single patient to an area hospital. Units were placed in service shortly thereafter.